I’ve found our Swedish Baby Bjorn soft bib again! A friend of mine gave me one last summer to try with MiniMoose. Back then, he hated it and furiously wanted to get rid of it, so we forgot about it and left it in Finland. Now, by chance, we tried it again, and have fallen in love with it. The bib is soft and comfortable (as it says on the Baby Bjorn website). 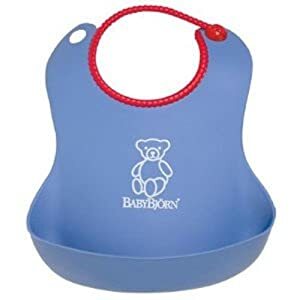 It has an adjustable snap that allows the bib to grow with your child and a place (hole) where you can hang it dry (I just use the strap to hang it). The bib is ergonomically shaped, easy to clean, and probably the best thing is the spill pocket that stays ‘open’ and collects most of the mess. We still mop the walls, table and floor, but the front of the top stays dry and clean. 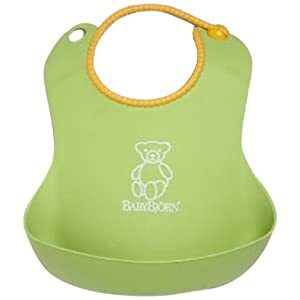 Baby Bjorn Bib – our eating scene doesn’t look this calm and collected, but you get the idea of the bib! Lots of colours available and they seem to retail from Amazon etc at around £8-9. Brilliant! I’ve been back to the flea market and got some children’s books today. 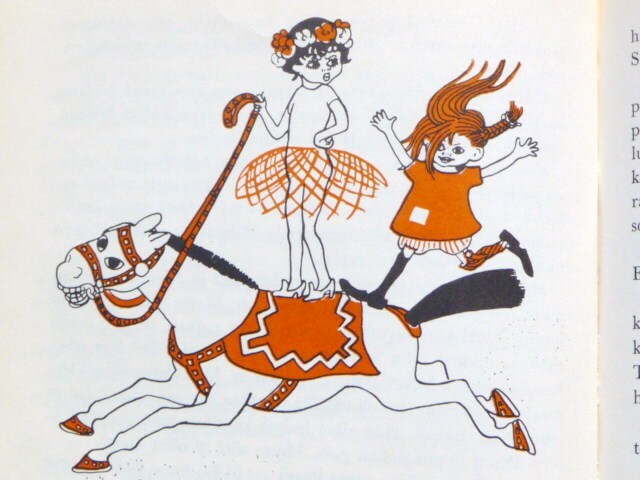 I’m clearly addicted to Swedish Astrid Lindgren’s production. Today I got her ‘Pekka Peukaloinen’ (Nils Karsson-Pyssling) to add to my collection! To my surprise this little book contains not just the story about Pekka but 9 other lovely short stories about little people. 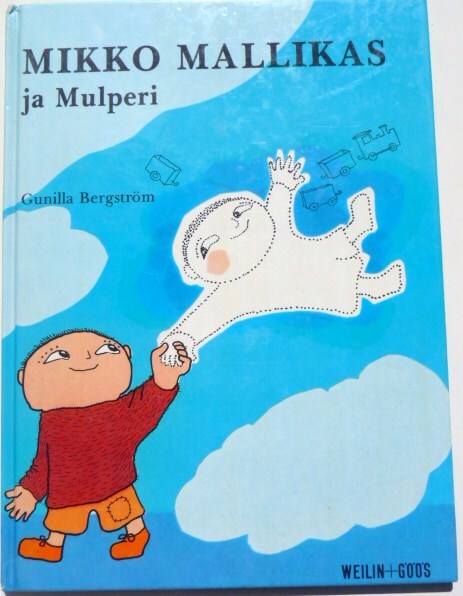 I was also more than pleased that I found an old ‘Mikko Mallikas’ (Alfons Aberg) book by Gunilla Bergstrom from the 80’s. 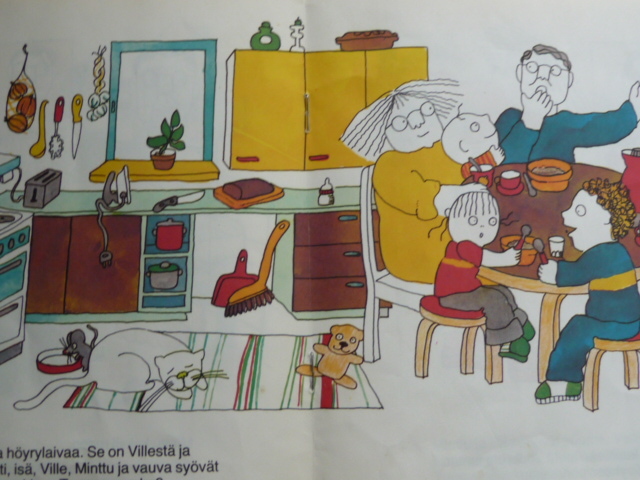 I love Mikko Mallikas stories – Mikko lives alone with his dad and does all sort of little mischief. The illustration is quite basic 80’s style but features real images too! Both Mikko Mallikas and Astrid Lindgren’s books were my childhood favorites and I cannot wait that I get to read these for MiniMoose. 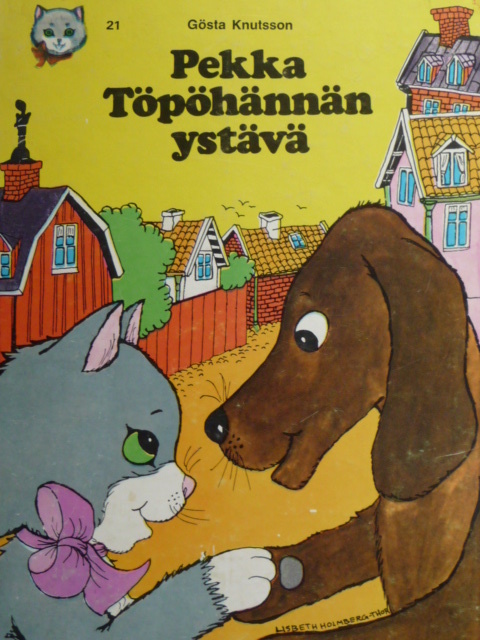 I’ve already got various books of ‘Melukylan lapset’ (Swedish, Bullerbyn), Vaahteramaen Eemeli (Swedish, Emil i Lonneberga) and Peppi Pitkatossu (Swedish, Pippi Longstrump/Longstocking), together with Mikko Mallikas (Swedish, Alfons Aberg), Pekka Topohanta (Swedish, Pelle Svanslos/Peter-No-Tail by Gosta Knutsson), Minttu (Finnish, by Maikki Harjanne) and Moomins (Finnish/Swedish, by Tove Jansson) waiting for MiniMoose to be able to sit still for more than 30 seconds. 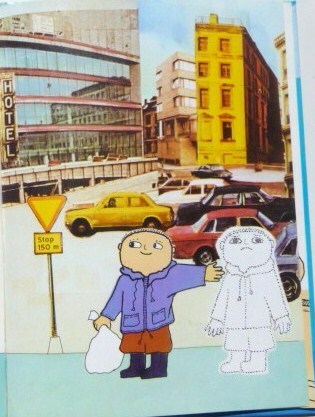 As you can see from the list, many traditional Finnish children’s books are translated from Swedish. 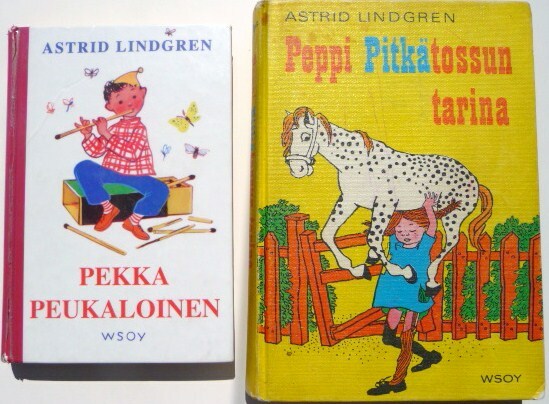 I’ve decided to take Pekka Peukaloinen and Pippi Longstocking to my summer reading list! I keep my eye out for more of these treasures at the flea markets, since many of them are out of print these days. Moomins and Astrid Lindgren’s production (at least) are also available in English and can be found on eBay or Amazon for instance. I do hope that they have kept the original illustrations by Bjorn Berg, Eva Billow, Ingrid Vang-Nyman and Ilon Wiklund etc. 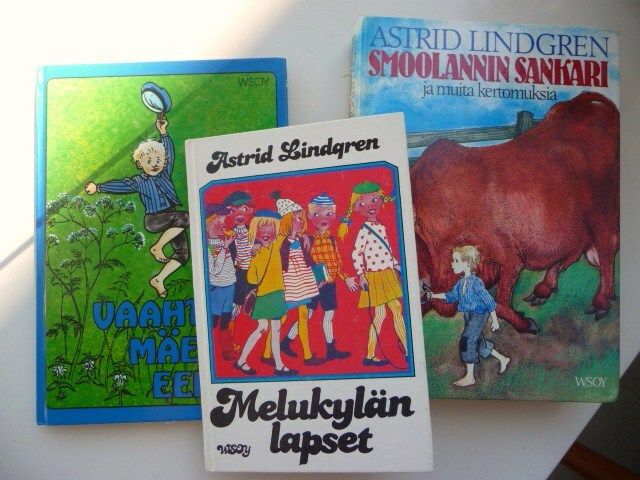 in the Astrid Lindgren’s books, but it seems that at least the covers have been ‘localised’ and changed in some of the English editions, which I personally don’t like. Do you remember these books from your childhood too? Whilst in Finland I finally had a chance to take a quick look at H&M Home collection in a shop. H&M Home mainly covers kitchen, bedroom and bathroom items. Luckily H&M Home collection is also online so no worries if your local H&M doesn’t stock the collection. True to H&M the style seems to be fresh and this season they also have a pinch of French classiness as well! In addition the prices are affordable to say the least. Me likey.